To enter just click one of the icons below. Hurry! The giveaway ends August 25th. 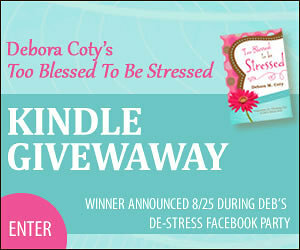 Winner will be announced on the evening of the 18th during Debora’s De-Stress Facebook Party! Debora will be hosting a “life-preserver” chat (it’s okay if you haven’t read the book – who knows, you might WIN a copy! ), testing trivia skills, swapping funny stories, handing out some decom-stress tips, and giving away tons of great stuff! (Chocolate, books, and more!) Hope to see you there. Bring your friends and join the fun on August 25th at 5:00 PM PST (6 PM MDT, 7 PM CDT, & 8 PM EDT). 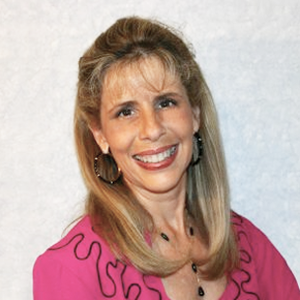 Also – be sure to check out Debora’s series of Stress-Buster videos at her website: www.debcoty.com. She’s also hosting a photo caption contest on her blog for a chance to win a copy of Too Blessed to Be Stressed. Congratulations on the new release. I love the title!